This non-stick silicone mat makes for a great surface to prepare dough and pastries. It replaces parchment paper and greasy sprays when used in the oven for baking, and dissipates heat rapidly to prevent burning of cookies or pastries. You can follow the Hello Kitty patterns to distribute pastry dough equally. Lodge's centry-old tradition of excellence continues in our beautiful and durable family of ceramic stoneware. Molded out of natural clay, these elegant pieces are fired at high temperatures and then glazed with vibrant colours for a lifetime of better baking and stylish serving. 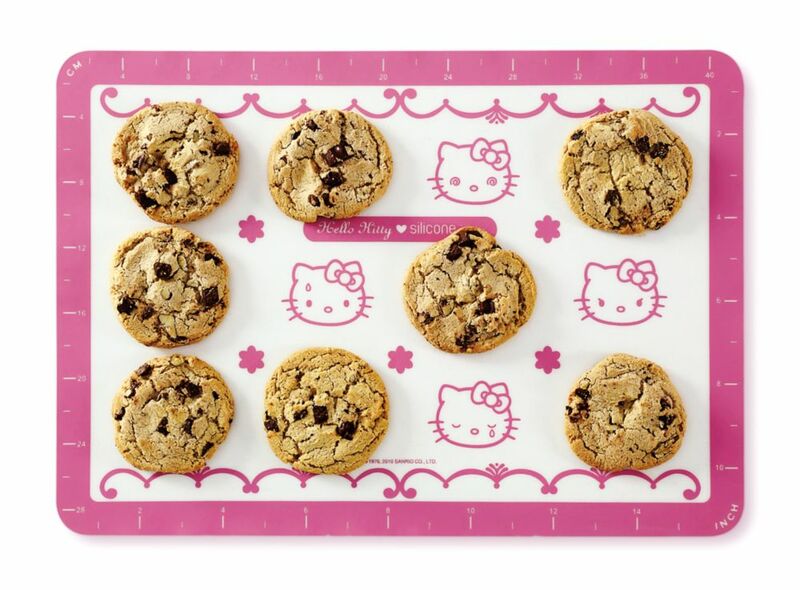 Hello Kitty Baking Mat This non-stick silicone mat makes for a great surface to prepare dough and pastries. It replaces parchment paper and greasy sprays when used in the oven for baking, and dissipates heat rapidly to prevent burning of cookies or pastries. You can follow the Hello Kitty patterns to distribute pastry dough equally.